Archer Le Veq owes his life to the woman who rescued him from certain death at the height of the Civil War...a woman known only as "the Butterfly." Now, in the dark, waning days of Reconstruction, he needs the courageous and beautiful former spy...in more ways than before! Zahra Lafayette thinks her days of intrigue are far behind her, until she is asked to go on one more mission. 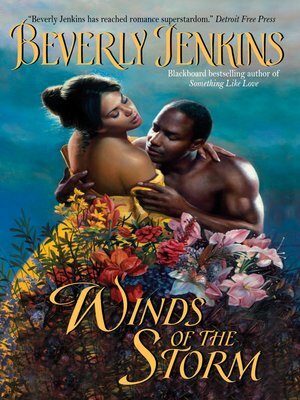 Posing as an infamous madam in New Orleans, Zahra must gather information to ensure the safety of the South's freedmen. The last thing she expected was to see Archer Le Veq again. He is as arrogant as he is handsome, but there is something about this dusky and debonair hotelier that sends her senses singing. Zahra knows she will need to guard her secrets, but no peril awaiting her compares with the treachery of Zahra's own heart - for, Lord help her, she burns to taste the man and to lose herself in his powerful embrace.